Phytosciences was conceived to represent patients and to provide quality control and quality assurance services to the medical cannabis industry, which is achieved through the strong scientific background of our management team which consists of cannabis research scientists, cannabis extraction specialists, and our clinical R & D program focused on the development of cannabis-based therapeutics guided by clinical research. 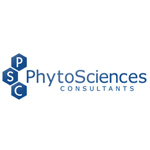 Phytoscience’s primary mission is to establish standards within the cannabis laboratory testing and cannabis product development sector as a global leader in Good Laboratory and Testing Practices, ensure that patients know what they are buying, know what is inside their medicine from a chemical perspective, understand the pharmacology behind what they are taking, and to ensure that products are safe for human consumption. 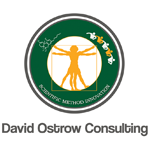 David Ostrow Consulting provides scientific consulting to all levels of medicinal cannabis industry, from writing licensing and funding applications, to designing science-based leading innovative methodology, to implementation of your company’s BOPs and analytical tracking system in order to best meet the regulations and patient satisfaction with your Cannabinoid products. Also developing the No American Community-based Clinical Cannabis Evaluation & Research Network (NA CBCCERN) to collect and analyze longitudinal data on all participants in State regulated MC Programs for development of data-based therapeutic guidelines for specific symptoms and illnesses. 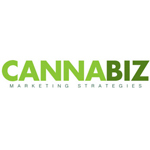 Specializing in ancillary products and services for the legal cannabis industry Cannabiz Marketing is a niche marketing team concentrating on the cannabis industry, its trends, best practices, and unique needs. Founded and run by a team which grew up in Mendocino County, Cannabiz Marketing has life-long experience with the Cannabis community, giving them a unique understanding of the terminology, communities, and the processes involved in growing, processing, and consuming cannabis. The company’s mission is to help the industry come out of the shadows and help build legitimate businesses that are respected and profitable. We provide architect and engineering design services for cannabis retail, cultivation, and processing facilities. With an emphasis on high-performance, custom design we can assist with all phases of facility build-out. 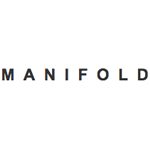 Based in Denver, CO, Manifold is working nationwide on cannabis projects ranging from 3,000-90,000 square feet.